Both MRI and ultrasound techs use high-tech medical equipment. Magnetic resonance imaging uses radio waves to create images of organs inside the body. An ultrasound uses high-frequency sound pressure to do the same task. 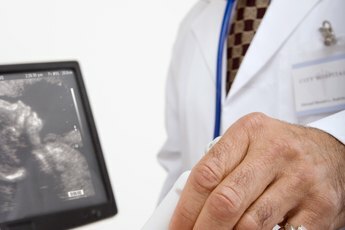 Both of these medical technologies are used to help physicians diagnose medical conditions and ensure a growing baby is doing well in its mother’s womb. The equipment used to perform these medical procedures is operated by an MRI or ultrasound technician -- one of several occupational disciplines in radiologic technology. Although very few states require a license to practice professionally for these occupations, many employers prefer those who obtain accredited training and certification. Both technicians’ training programs are accredited by the American Registry of Radiologic Technologists. The process generally takes two years to complete, resulting in a diploma or associate degree. After completing an accredited education program, candidates submit an application and fee to sit for the credentialing exam. The American Registry of Radiologic Technologists also requires a criminal background check to take the exam. 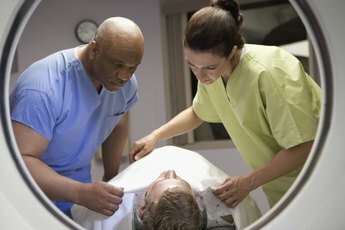 MRI technicians generally work under the supervision of a radiologist. They start by interviewing a patient regarding allergies, medical conditions or circumstances that may affect a patient’s safety during the procedure. After the patient is prepared for the MRI, the technician operates the MRI equipment to create images of the anatomy. During the procedure, the technician monitors the patient to ensure safety and comfort. MRI technicians select images of the patient’s body for review by the physicians that request the procedure. Ultrasound technicians use smaller equipment to perform diagnostic medical procedures. The equipment creates images of internal organs using a wand. The techs prepare patients and explain the procedure, then apply gel to the area to be imaged. Passing the wand over the selected parts of the patient's body, they select the highest quality image, take measurements and save the image for a physician’s review. 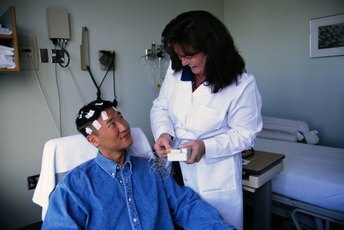 They monitor the patient throughout the procedure to ensure comfort. Ultrasound technicians also maintain and sanitize the equipment. Both MRI and ultrasound technicians generally require the same amount of training to practice professionally. Salaries vary for these professionals depending on their years of experience and the employer type. 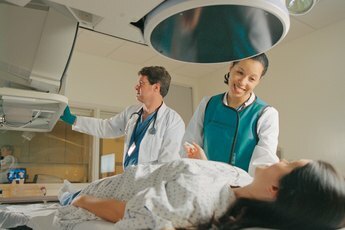 A 2010 salary survey conducted by the American Society of Radiologic Technologists showed an average salary of $65,098 per year for MRI technicians and technologists. Sonography technicians and technologists, which include ultrasound technicians, earned an average salary of $68,821 per year. Considering one of these careers would depend on your personal interests in each discipline of radiologic technology and your financial goals.